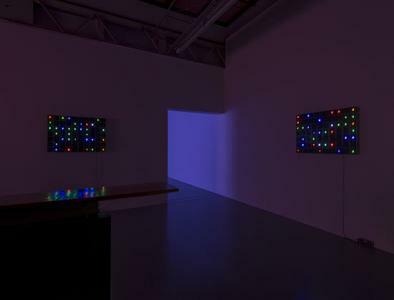 SCAI THE BATHHOUSE | Exhibitions | Past | Tatsuo Miyajima "LIFE I-model"
Twenty-five years have already passed since Tatsuo Miyajima created his first work utilizing digital counters based on light-emitting diodes (LEDs). His works are now held in major art museums and corporate collections throughout the world, including the San Francisco Museum of Modern Art, Tate Modern, and the Fondation Cartier. He has also produced large-scale public works for entities such as the Denver Art Museum, the TV Asahi building in Roppongi Hills, and the Leeum, Samsung Museum of Art, and remains one of Japan's best-known contemporary artists. 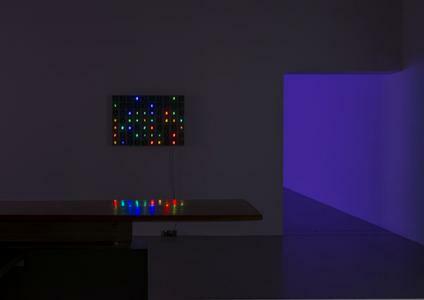 In this solo exhibition, Miyajima unveils a new work incorporating more evolved digital counters/gadgets based on a completely new concept. Ever since his early period, the thinking behind Miyajima's works has been based on three concepts—"Keep Changing," "Connect with All," and "Goes on Forever." 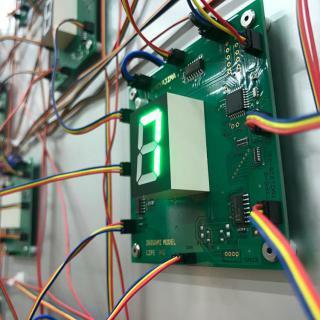 Now, in cooperation with University of Tokyo professor Takashi Ikegami, who researches artificial life, Miyajima has successfully created innovative digital counters that take these three concepts to a new stage of evolution as well as to a deeper level of meaning. 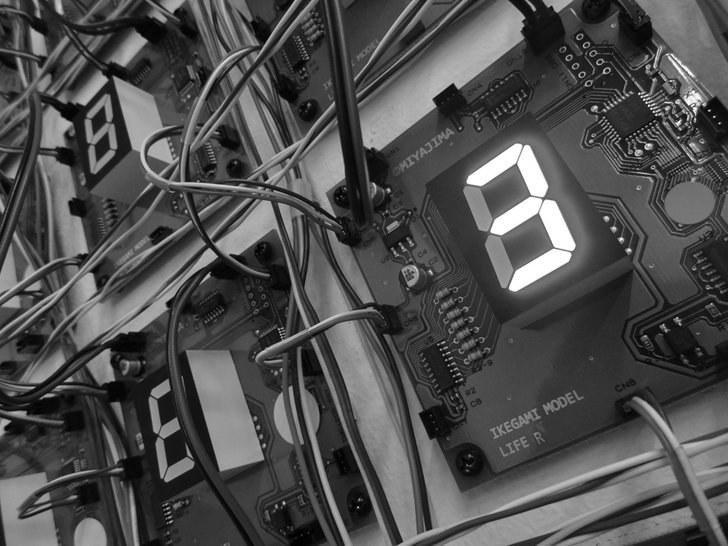 In discussions with Professor Ikegami, who also has a profound knowledge of art, Miyajima requested a gadget that would work like a living organism. Professor Ikegami's response was a completely new gadget that, while being autonomous, incorporated programming that allowed individual gadgets to transform themselves in accordance with the surrounding environment and circumstances. 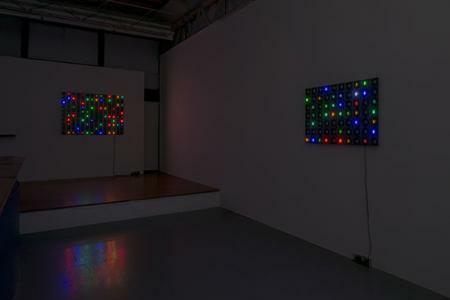 Whereas the artist's previous digital counters repeated a cycle of counting up or down in a regular pattern according to sets of rules, the new digital counters are unpredictable, operating with a random rhythm. 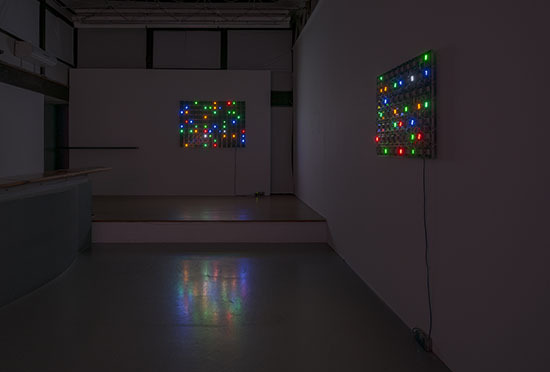 Similar to living organisms in nature, depending on the surrounding environment and their relationship to each other, these gadgets transform themselves, adapting, and transcending existing formats by rewriting their own programming to become new entities. When the gadgets conglomerate in a work of art, the results are fascinating, presenting complexity and delicacy of a different nature from that seen in Miyajima's previous works. Until now, the counters in Miyajima's works have run at constant rates, so this new approach constitutes a change of revolutionary proportions. Through this leap forwards, these works take the artist's original concepts to an even deeper level, making them even more powerful. The revolutionary leap achieved by Tatsuo Miyajima's LED digital counters provides a precious opportunity to experience the moment of the birth of a new form of art. We are delighted to invite you to share that experience.